The Liaison Officer to Senate President Bukola Saraki on State Matters, Earl Osaro Onaiwu, has described as shocking and anti-Semitic statements credited to Senator Godswill Akpabio that in 2019, the All Progressives Congress will take Akwa Ibom in the manner fascist ruler, Adolf Hitler, took Poland. In a statement on Tuesday in Abuja, Onaiwu said that gloating over such a tragedy shows the level of desperation and insensitivity of the APC, urging the people of Akwa Ibom state to be vigilant before their liberties are taken away. “I am still in shock that Senator Godswill Akpabio can gloat over such historical tragedy in which millions of Poles not only faced grievous atrocities but lost their lives. What this simply means is that Senator Akpabio and the APC are desperate and do not mind employing fascist means to gain power. “I call on all lovers of freedom and liberty, especially in Akwa Ibom state, to be vigilant and be ready to guard their votes in 2019. “More than that, it is expedient that the United States, the European Union and the Polish government take note of this anti-Semitic rhetoric and take steps to blacklist individuals with such a mindset. 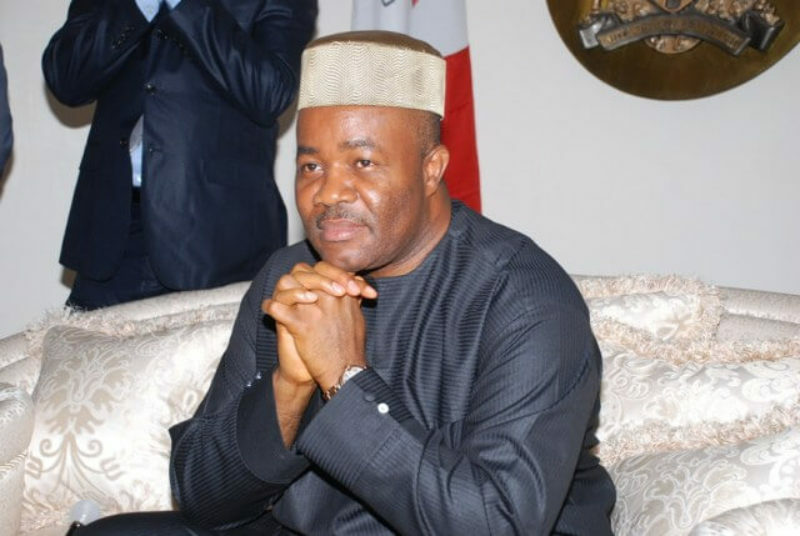 Akpabio, who represents Akwa Ibom North-West, courted controversy weekend in Enugu state when he likened the 2019 elections to Nazi Germany’s invasion of Poland by Hitler in 1940. Akpabio said: “Recently, I had an occasion in Akwa Ibom State and this is what happened: I went just to make a floor declaration; others do it in the social media, others just sit in their offices, some do it by text messages that they have changed platform, what we call party. But in my own, I just decided to do it in an uncommon way because they call me uncommon transformer. “It was watched in 59 countries and somebody asked what happened there, and I said just how it happened in Poland. When they asked Hitler’s minister for information how was the war in Poland? He said Warsaw saw war and war saw Warsaw.